UPDATE! Summer and Fall workshops in the studio. 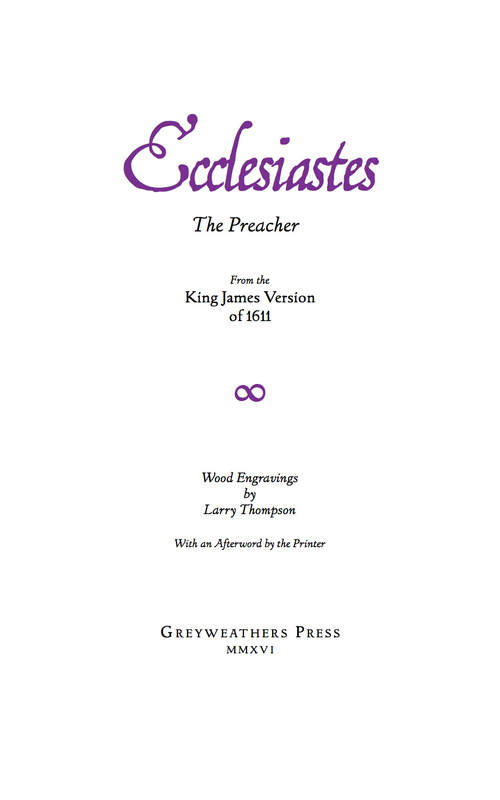 As much as anything can ever be finished, Ecclesiastes is done, ending a long production and a much longer story. Regular editions (shown above) are ready to ship. 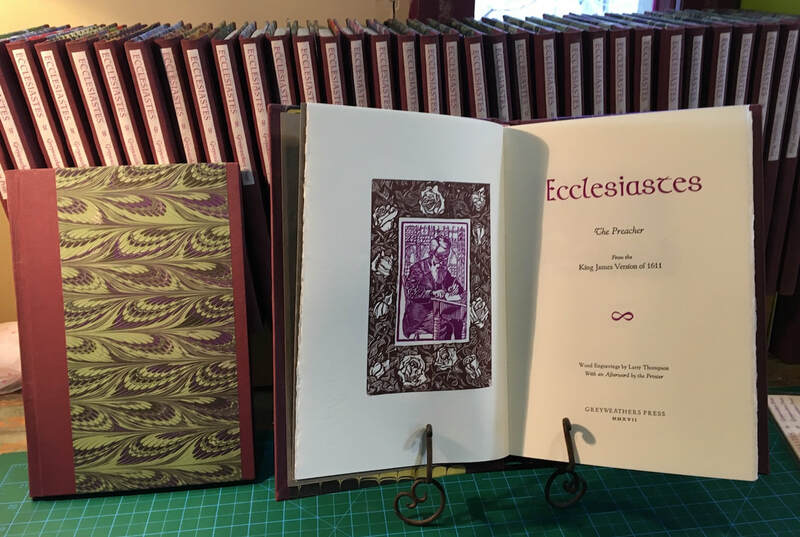 The binding of the first 40 copies went very well, and a lot of the credit for the “look” goes to Ottawa-based Nancy French’s very beautiful marbled papers which were too nice to hide inside the book, so they went on the covers. As for the deluxe copies, seventeen of the 20 copies have been spoken for. I have yet to contact my long list of special collections, so it is my belief that they will not last long. ​Please also note that if you are ordering in Canada, only 5% GST applies to books. International orders are charged the base rate plus shipping.